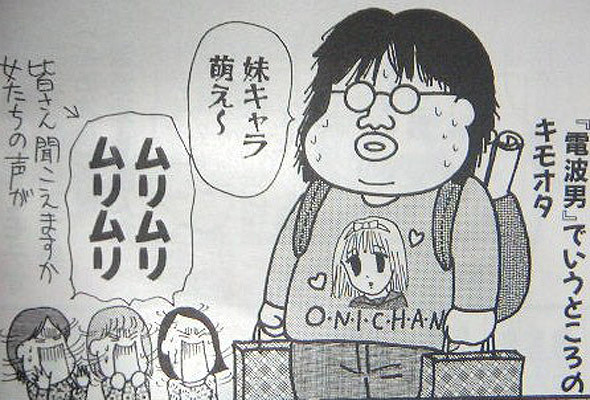 Recently new Japanese words made their way into the Oxford English Dictionary, officially blessing the English speaking world with concepts such as hikikomori, karoshi, and otaku. But, these aren’t the only words that have done this, just the most recent ones. There are actually a lot of Japanese words that we use as English words now – it’s not only the Japanese who get to turn someone else’s language into their own. I thought it would be fun to list out and define a bunch of the common Japanese words that have made it into the English language. There’s a lot of them, and I don’t think I’ve thought of all of them, so if you come up with any add them in the comments and I’ll try to update the list for future people reading this article (hello, if you’re from the future. How are the flying cars?). Anime: Japanese cartoons / animation. Banzai: A cheer. Banzai! Banzai! Banzai! Bento: A meal served in a box with separations in it. Bonsai: These are the little trees that are actually really old, but are really small because they’ve been trimmed and stunted by bonsai artists. Dojo: A place for martial artists to practice. Haiku: A type of poem that (in English) is typically 5-7-5 syllables. Jujitsu: A soft-style type of Japanese martial art. Kamikaze: Literally means “divine wind” but in English it’s known to refer to a suicide attack (usually by airplane). Karaoke: A machine that plays a song for you and has you sing along, usually with a bunch of people and a bunch of sake. Karate: A hard-style type of Japanese martial art. Koan: A paradox that Buddhist monks meditate on. Ninja: The guys that wear black, sneak around, and assassinate people. These guys are sneaky. Origami: The art of folding paper into different shapes, figures, etc. Ramen: Japanese noodle soupy dish. Samurai: A warrior from feudal Japan. If you want to talk like a samurai, that’s different. Sashimi: Raw fish, sliced into pieces (not to be confused with sushi). Seppuku: Another word for disemboweling yourself. Sudoku: The number placement puzzle that’s popular in a lot of newspapers and other places. Sushi: a small bit of cold rice with something on top or inside it. C’mon, you know what sushi is. Tycoon: Someone who’s a powerful business person (original Japanese word, taikun 大君（） means liege lord or shogunate, so it’s evolved in its English meaning). Typhoon: A violent tropical storm or cyclone (probably originally a Chinese word, though). Wasabi: Similar to horseradish. This is a green paste that’s nice and spicy, and often used with sushi. Zen: A sect of Buddhism in Japan. Oh, and if you aren’t bored already (or are bored), here’s a video talking about the three new words that were just added: hikikomori, otaku, and karoshi. Enjoy! So what else would you add to this list? Any other Japanese words you hear quite a bit that are used pretty easily in English? My favorite by far is hancho. I thought that was Spanish, or something.